I had the opportunity to visit the Valley Cow Horses Association (VCHA) Competition / fundraiser called "Horse For A Cure". Funds raised were for St. Jude Hospital. 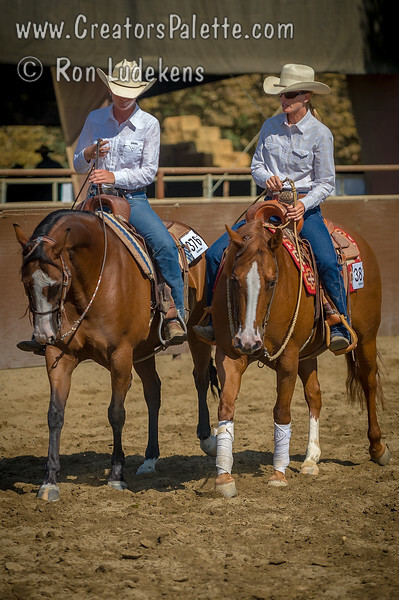 Event was hosted at Whitneys Wild Oak Ranch in Exeter, CA. See my blog dated 9-1-2012 for notes about this great event. Photos were taken from 8 am to 10:30 am Saturday and are in the order taken (since I don't know your names to put them in name order). Image taken at Whitneys Wild Oak Ranch which was hosting "Cow Horse for a Cure" a competition/show by Valley Cow Horse Association and National Reined Cow Horse Association. Proceeds went to St Jude Hospital.